If you are tired of the drama (devil racing after my assignment) in your life or in the life of those you love, you can be the change. Choose to decree and declare God’s goodness over your life, your family, and circumstances. Stop agreeing with the devil and stop walking in fear. 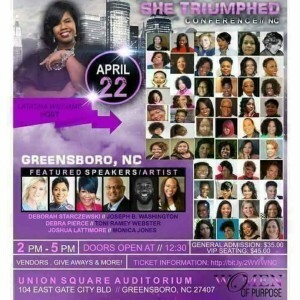 Choose to step into your God-given destiny even if you feel afraid. Fear is false evidence appearing real. Don’t run ahead of God and try to figure everything out. Turn to Him and ask Him to lead you in the path of peace. He will answer that prayer. Obey His instructions. The LORD has greater plans for you than you have for yourself. You can choose this day to live in a drama free zone. You can make a difference! Rise up inside and declare what God says about you. Ask GOD to give you a fresh revelation of WHO HE IS and WHOSE you are….and bask in His amazing love. Get in agreement with His Word for your life. “For I know the plans I have for you,” declares the LORD, “plans to prosper you and not to harm you, plans to give you hope and a future. (Jeremiah 29:11 NIV). (Excerpt from GOD’S PRICELESS TREASURE…How To Overcome Challenges, Be Transformed And Know Your Purpose…published by Creation House Press 2011). 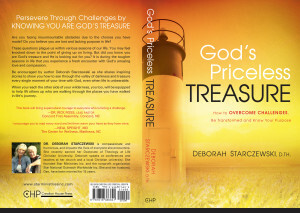 GOD’S PRICELESS TREASURE (How To Overcome Challenges, Be Transformed And Know Your Purpose)….move from drama to destiny, pain to purpose, hurt to healing, and a mess to a message. A LEAP OF FAITH (25 Days At The Mercy Seat)…the full account of the miracles at Mercy…God raised my husband from death, healed him from two strokes, walked with us through two open-heart surgeries, and 25 days in the hospital. Packed full of scripture and HOW to bring heaven to earth through a relationship with Jesus Christ. THE MIDNIGHT HOUR (Will America Turn Back To God)……A MUST READ!